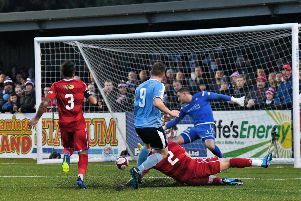 The Mariners have won their last four games in the Evo-Stik Premier Division, and sit seventh ahead of tomorrow’s trip to Cheshire. Ironically, that defeat was a 4-1 home loss to Matlock Town – a team the Mariners dispatched 5-0 last Saturday - a month ago. Tomorrow’s meeting is therefore vital as Lee Picton and Graham Fenton’s side look to make up some ground. Shields have won all eight of their home league games so far, but it is their away form which has pegged them back. They have won three times and lost six matches on the road, and tomorrow will be one of their longest trips of the season. 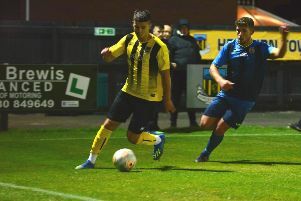 Shields go into tomorrow’s game without long-term injured duo Anthony Callaghan and Barrie Smith, but midfielder Nathan Lowe is available after serving a one-match suspension against Matlock last weekend. Kick-off at the Weaver Stadium – which has a postcode of CW5 5BS – is at 3pm.